Everywhere you go in life, there are people trying to make things better for the planet and for those who inhabit it. There are some out there who don’t go out of their way to be overly green because they don’t believe that they’re going to make any kind of a difference. They also believe that being eco-friendly in the home means that speciality products need to be purchased. It is, however, not difficult to make excellent swaps to be eco-friendly without breaking the bank and without putting yourself too much out of what you’re already used to. Being greener in your home takes patience, education and breaking bad habits that you have. For example, you may install a recycling bin in your kitchen to help you to manage your waste without having to really think about it. Everything that we throw out from the kitchen ends up back in our food; it’s cyclical. The amount of trash that we are expected to throw away is already alarming and if you consider that this is not an individual issue, that’s a lot of garbage to consider. One day, this could be catastrophic. The thing is, turning your home into a haven of green space can be done gradually room by room. Start with the kitchen with managing your waste and work your way to the roof with the installation of solar panels to help you to reduce your electricity bills. Taking steps toward tweaking every room in your house is exactly how you can make small steps toward a more efficient, eco-friendly life. The best thing is that your transition into a better lifestyle can make you feel better as a person especially with all the new hacks and products coming out to help your lifestyle change positively. One of the rooms in the house that you can change to be more sustainable is – surprisingly – the bedroom. We spend a third of our lives asleep, so it makes total sense that we should want to start there for a healthy and comfortable sleep space. With the ten tips below, you should be able to cultivate the most sensationally sustainable sleep space possible. A bed made of organic materials can be an expense that you may not have planned for or even considered. It’s also something that can be rather high when you’re not expecting to spend any money. So, to compensate for this, you could invest a little cash in organic pillows and mattresses. The coverlet and the duvet that you use can be in the best organic material that you can find. These can give you a healthy and safe environment to sleep on without breathing in any chemicals. You could start with the use of an organic mattress topper first, if you’re worried about spending out too much in one go. Having the right mattress is important, but having natural sheets made of organic cotton is something that you should never skimp out on. All you have to do to know whether you’ve made the right choice on your sheets is whether there is a Fairtrade label on the tag. The conventional cotton options still use pesticides, but if you choose products that are Fairtrade, you can be safe in the knowledge that the creators were treated fairly with the planet in mind. The windows are the eyes of the bedroom and when you’re making your window dressing choices, you should do what you can to pick curtains that are eco-friendly – like your bedding. They may cost that little bit more, but the way that you hang curtains and dressing on the windows can also have an effect on the energy expenditure of your house. Curtains at the window keep the heat locked in, so you should do whatever you can to ensure that this is the case. Organic curtains are the way forward. If you are choosing to renovate the entire bedroom, you should think about replacing the flooring in the home. You could choose to be quirky with your choices, going for cork or bamboo as light and sustainable flooring options. There are even recycled floors in the way of metal, glass, and rubber which are continuing to gain popularity at the moment. Of course, you may not be able to afford to replace the flooring in your bedroom, especially if the flooring that is in there is already quite new. Don’t make swaps just for the sake of swapping; make a point of the right choice when you have the money and the indication to replace the floor. The fastest way to change the look of your bedroom is to give the walls a lick of paint. A lot of people love to give the whole house a freshen up every few years, and if you look at the label and find Zero-VOC when you choose the next colour, you’ll know that the seal is intact enough not to release any chemicals when you open the pot. Paint is a toxic substance, so it can help to know that you’re not adding anything toxic to the world around you. It feels like a good idea to head to a chain store and make a huge purchase of furniture at a knock-down price. However, those furniture packs that you buy may carry a far heavier burden than the delivery cost! Sustainable furniture means knowing who has made your furniture in the same way that it means knowing who makes your sustainable clothing. Checking out antique stores and second-hand stores can help you to find the best options for you at a better price than buying brand new sustainable furniture, especially as brand-new furniture carries a far higher price tag. As mentioned earlier, you spend a third of your life in your bedroom. Having a space that is clean and tidy is so important and not just for your physical health, but your mental health, too. 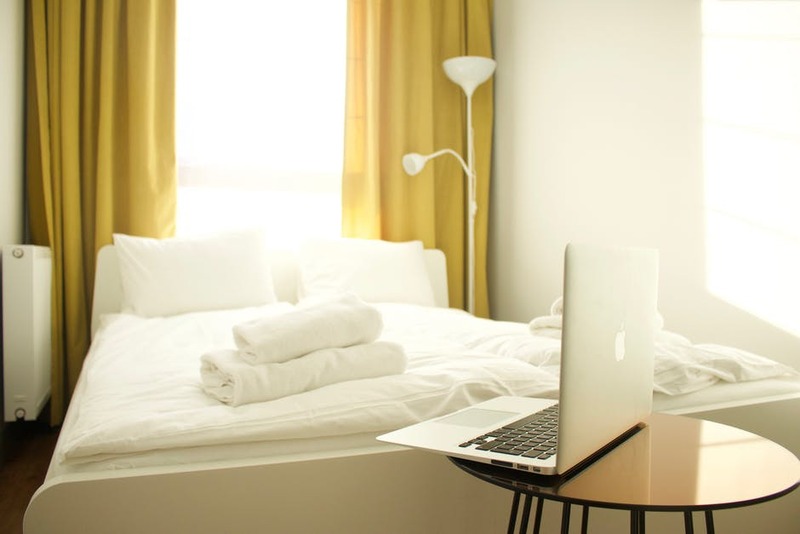 There are plenty of tips on the internet out there, though, that can give you cleaning hacks and products that don’t include harsh chemicals for you to breathe in throughout the night. You can have a squeaky-clean sleep space without impacting your health while you rest. The best thing that you can add to your bedroom to make it as green as possible is – of course – nature. Tall plants or vases of fresh flowers can be natural air purifiers for your bedroom. Walking into the bedroom and breathing in the nature around you and feeling calm as you do so is a great way to enhance your sleep. There’s no need for plug-in air purifiers when you have nature’s air purifiers to do the job for you. It’s so easy to take care of plants, too, just check out this indoor house plant guide to find out how. The rest of your bedroom needs to be filled a little; there’s nothing worse than walls full of blank space in the bedroom. Vintage bedroom items and works of art can be found in second-hand and thrift stores. There are fantastic vintage sellers on eBay and Facebook Marketplace if you don’t have anything in the stores local to you. Décor can include rugs, artwork, wall murals and mini tapestries, so get your creative hat on! 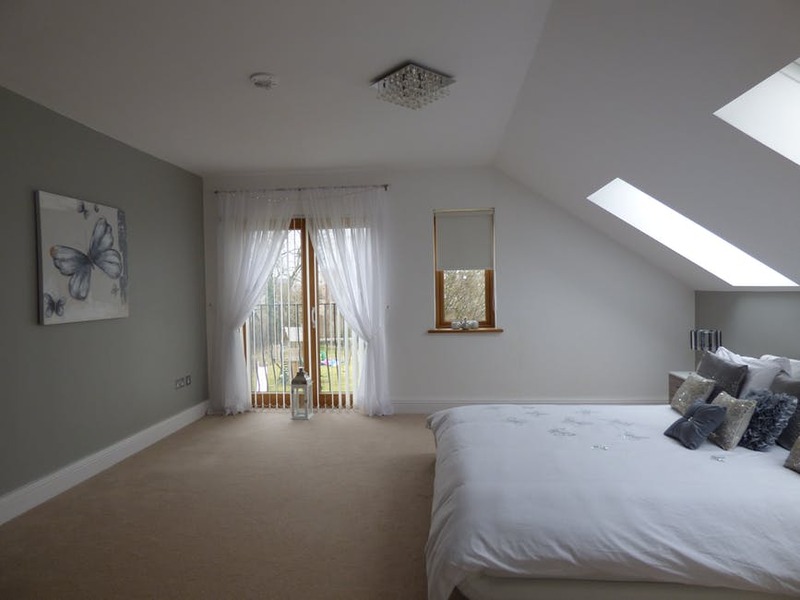 Lastly, you need to consider the lighting in your bedroom in a big way. The bulbs in your lamps and main ceiling light may be a total drain on your electric supply and the energy that you use, so think about switching to LED lights. These use a lot less energy than others and you can find them in all shapes and sizes. You should also consider keeping curtains open throughout the day for natural light. Bedrooms should be soft in the light in them as they are a place of sleep and rest, which means needing as much darkness as possible. You can see by the ten tips above that you won’t have to take much time starting out on the most sensationally sustainable suggestions for your bedroom. Your bedroom can be the eco haven you have so desperately wanted to have and it doesn’t have to be too expensive to get you there. The smaller change that you make for your room can help you to inspire the bigger changes that you implement throughout the rest of the house, too, so that you can have a home that is increasingly green. The more you change about your home, the healthier it will be as time moves forward. You can be the change that starts in the bedroom, just take it one step at a time. Apply a budget to your house, too, because once you get started with making green swaps, you’re going to find it hard to stop! This entry was posted in Household Hints, Social and Environmental Issues. Bookmark the permalink.